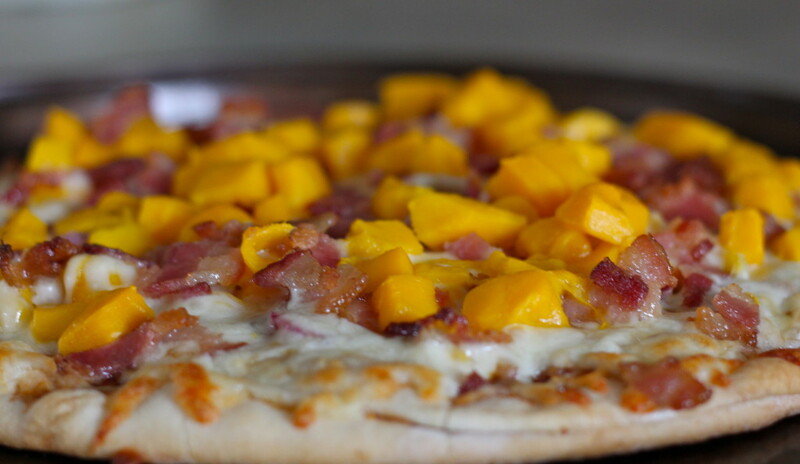 One of the ways that I show my love to my family is by making fresh and delicious food, like this BBQ Bacon Mango Pizza. This pizza is inspired by The National Mango Board, which they sent along with a shipment of beautiful ripe Keitt mangos. It instantly reminded me of a sweet and savory Hawaiian pizza, only substituting the Canadian bacon for regular bacon and the pineapple for mango. Brilliant and definitely a crowd-pleaser! We love the sweet, tropical flavor of mangos and their ability to transform any dish – whether it’s breakfast or a midnight snack. Not only are they delicious, they are packed with more than 20 vitamins and minerals, including 100% of your daily vitamin C in just one cup! Place pizza crust on a large baking sheet. Heat small pan over medium/medium-low heat. Add the onion. Cook for about 10-15 minutes, stirring frequently to prevent burning, until the onions are tender, sweet and lightly golden. Spread a thin layer of the BBQ sauce over the pizza crust. Scatter most of the bacon, mango and onions over the sauce. Top with the shredded cheese. 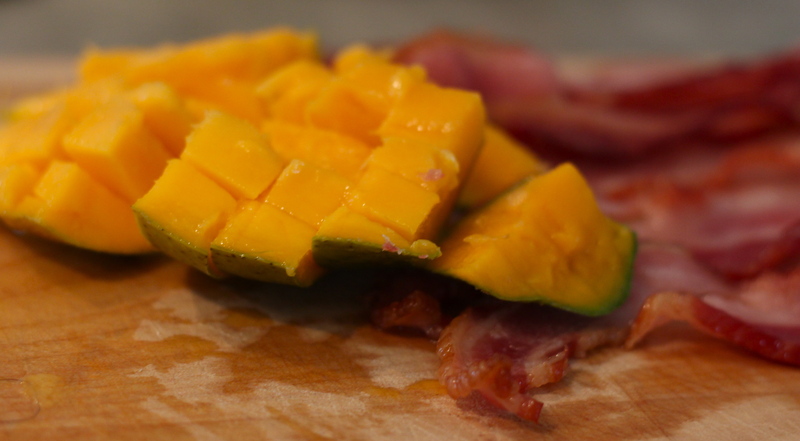 Scatter the remaining bacon, mango and onions on top. Bake for about 12-15 minutes, until hot and cheese is melted. Let it cool slightly, then cut into wedges. GIVEAWAY: The National Mango Board is giving one lucky reader a MANGO STARTER KIT with a sampling of mangos, a paring knife, fruit scoop and dish towel. 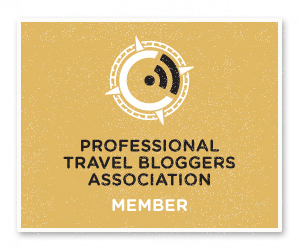 The total value of the prize is $50 and the giveaway is open to US residents only. To enter, follow me on Twitter along with Mango Board. Tweet the recipe! Giveaway ends October 11, 2013. I can already taste the salty bacon against the sweet mango. Sounds like a fab idea! !